Caption - Koleje Mazowieckie operates suburban rail services in greater Warsaw. Mostly operating EMUs it does have 11 of these TRAXX locos operating with double deck stock. 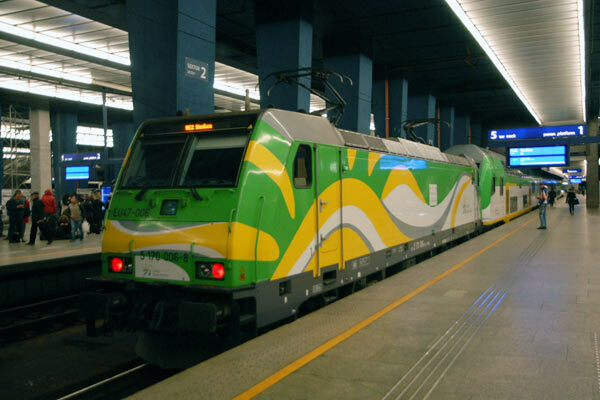 The loco feaured is EU47-006 (170-006) propelling a train at Warsaw Central station.